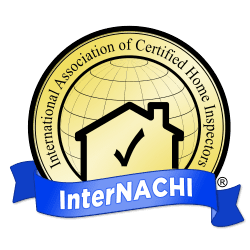 Are you looking for the best in Heber City Home Inspections? HomeTech Home Inspections is locally owned and certified home inspection company. We serve the Northern Utah Real Estate community. Our home inspection services focus on Wasatch and Summit counties, including: Park City, Heber City, Midway Utah and the surrounding areas. The Heber Valley area has long been held as one of the top vacation destinations in the West. Heber City ranked highly in natural amenities. Residents routinely partake in recreational activities like boating, golf, horseback riding, snow skiing, hiking and biking. Tourism anchors the economy in Heber City, where employment is higher than in much of the nation thanks to a broad range of businesses supported by locals. Low crime, good schools and an excellent health-care system help make Heber City even more appealing to families. Heber City had the highest growth forecast on our list of the best small towns. A seemingly endless network of backcountry roads leads drivers to forested canyons, mountain tops and lakes that surround the city. While rugged mountain peaks and spring-fed streams dominate the landscape in Heber Valley, the area’s cultural scene is just as pleasing to the eye. Heber City hosts the annual Wasatch County Fair, an eight-day event that includes a parade, carnival rides, demolition derby, rodeo and beauty pageant. Bands take the stage during a farmers market every Thursday in the summer months at Heber Main Street Park, while many restaurants feature live music. Shops occupy buildings on Main Street that date back to the early 1900s. The communities in Wasatch County are growing fast yet the area retains a relaxed, rural atmosphere. New home construction is common throughout the county; options include condos at resorts, single family homes in town, rural estates and mountain cabins. Existing homes range from historic pioneer-era homes to modest homes in town to recreational cabins and plus estates. People with a wide range of interests and lifestyles are attracted to the Heber Valley. Excellent schools and a rural atmosphere make it a great place for families. The county has a strong economic base and is attractive for business development. It is also close to Park City and the Wasatch Front and so many residents commute to work. Almost all Heber City home inspections range from 1,000 to 8,000+ square feet. The homes in Heber vary in ages, sizes and condition. With over 10 years of experience, you can rely on HomeTech to inspect every square foot of every home. Learn more about pre-purchase inspections. James D’Angelo from HomeTech has first hand experience with the Heber Real Estate Market, having lived in Heber for all of the time he has been inspecting homes.